Your personal information (which includes your name, address and any other details you provide to us which concern you as an individual and your property details) will not be shared with any third party organisation. 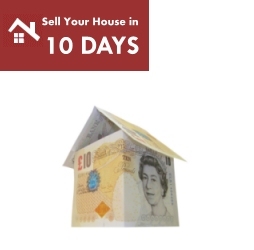 Your details will be held by our parent company Linton Manor Investments and used within our company including registered associates/investors of Linton Manor, 10 Days Property and the Property Lead Shop with whom we may share your details for a fee. You may ask us whether we are storing personal information about you by emailing us at info@10days.co.uk and, if you wish [and upon payment of a fee of £10], we will provide you with a copy of the personal data we hold about you by email. We may ask for proof of your identity before providing any information and reserve the right to refuse to provide information requested if identity is not established. All website design, text, graphics, the selection and arrangement thereof are Copyright © 2006, 10 days, ALL RIGHTS RESERVED.